Theodore Bernard Washington (born February 16, 1948 in Tampa, Florida) is a former American football linebacker in the National Football League. He spent eleven seasons, one with the Kansas City Chiefs and the remaining with the Houston Oilers, playing outside linebacker. He attended George S. Middleton High School in Tampa, and later played collegiate football at Mississippi Valley State University. He is married with his wife. They have one son and the father of former nose tackle Ted Washington, and have a total of 5 grandchildren of two grandsons and three granddaughters. 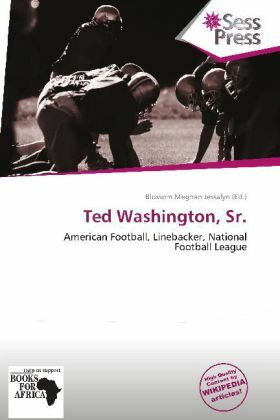 Bitte schreiben Sie uns Ihre Meinung zu: Ted Washington, Sr.